Only BOTOX® Cosmetic is FDA-approved to temporarily make moderate to severe frown lines, crow’s feet and forehead lines look better in adults. 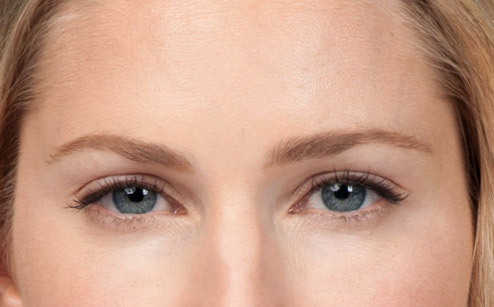 Most of the lines and wrinkles that form around the eyes are the result of facial expressions. Each time you smile, frown, or raise our brows in surprise, your facial muscles contract and crease the skin. 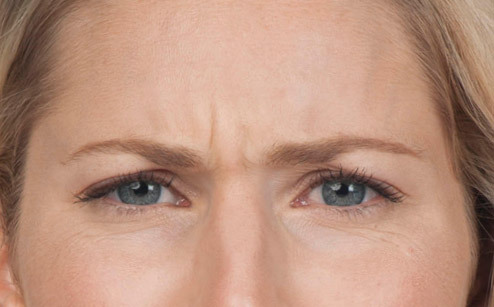 When these facial expressions are repeated over and over again for years and years, lines and wrinkles eventually form, making people look older, angry, and/or tired. BOTOX® Cosmetic is a quick 10-minute treatment that works beneath the surface and temporarily reduces the underlying muscle activity that causes moderate to severe frown lines, crow’s feet and forehead lines in adults – to help them look better. BOTOX® can also be used to achieve a beautiful brow lift and has many other uses on the lower face and neck. The results of BOTOX® look natural and typically last 3-4 months, although many people find that it lasts longer with repeated use over time. The most widely researched treatment of its kind. Only BOTOX® Cosmetic is backed by more than 15 years of clinical studies. It uses a unique manufacturing process, and its potency is measured in units that cannot be compared to any other product. This is why there is no such thing as “generic” BOTOX® Cosmetic. Some patients receiving BOTOX® Cosmetic report the injections feel like a pinch. You may begin to notice a visible smoothing of frown lines, crow’s feet and forehead lines within 24 to 48 hours, with results lasting up to 4 months for moderate to severe frown lines. BOTOX® Cosmetic is not a permanent treatment. 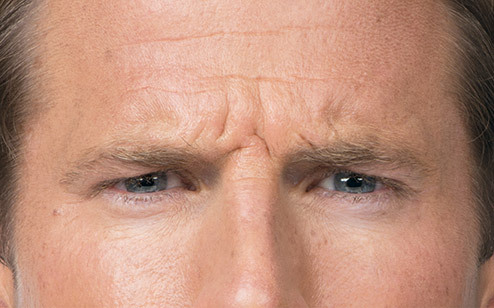 If you discontinue treatment the moderate to severe frown lines, crow’s feet and forehead lines will gradually return. Botox® is a nonsurgical treatment that can dramatically improve visible lines between your brows and unwanted creases near the eyes, known as crows’ feet. The procedure involves a few (nearly painless!) injections of Botox® into the facial muscles that cause unsightly wrinkles, allowing them to relax- resulting in a smoother, more youthful appearance. What is the recovery time after Botox® injections? There is no recovery time with Botox® and you will notice improvements in just a few days, with results typically lasting up to 4 months. Will Botox® reduce my wrinkles? We recommend Botox Cosmetic® to not only correct the wrinkles that make us look older than we are, but to prevent future wrinkles from forming. Botox® injections are commonly combined with dermal fillers in a single stage treatment to rejuvenate and restore. At Accent, we’ll work closely with you to determine the best treatment for your rejuvenation goals – we strive to always make you feel like the absolute best version of yourself. Is there a substitute for BOTOX® Cosmetic? BOTOX® Cosmetic is a biologic product that cannot be interchanged – or substituted – for another product. In fact, the FDA has stated BOTOX® Cosmetic is “non-interchangeable,” which means that its safety and effectiveness cannot be claimed by any other product. The potency – or strength – of BOTOX® Cosmetic is measured in scientifically defined units, and the FDA has concluded that a unit of BOTOX® Cosmetic does not equal a unit of any other product.